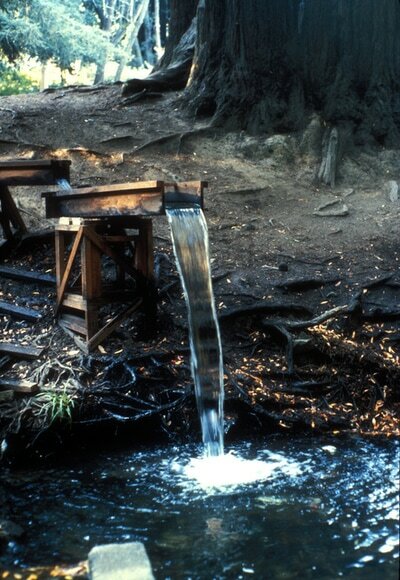 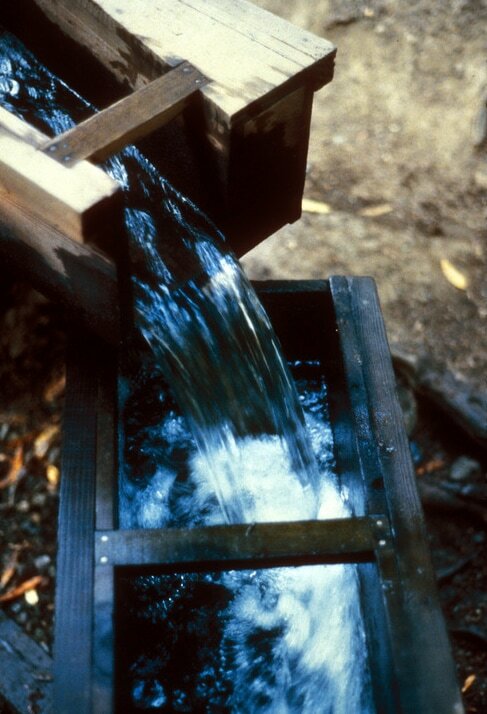 Cascade Creek Flume symbolically reunited a sawmill, built in 1835 by John Reed, to its source of power, Cascade Creek, in what is now Mill Valley, California. 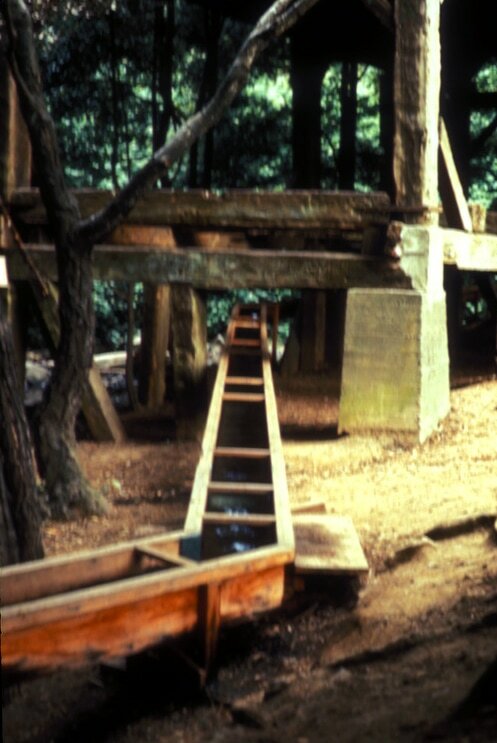 Two hundred and twenty feet in length and constructed of rough sawn redwood, the piece brought to attention the evolution of land use in the area over the last century and a half. 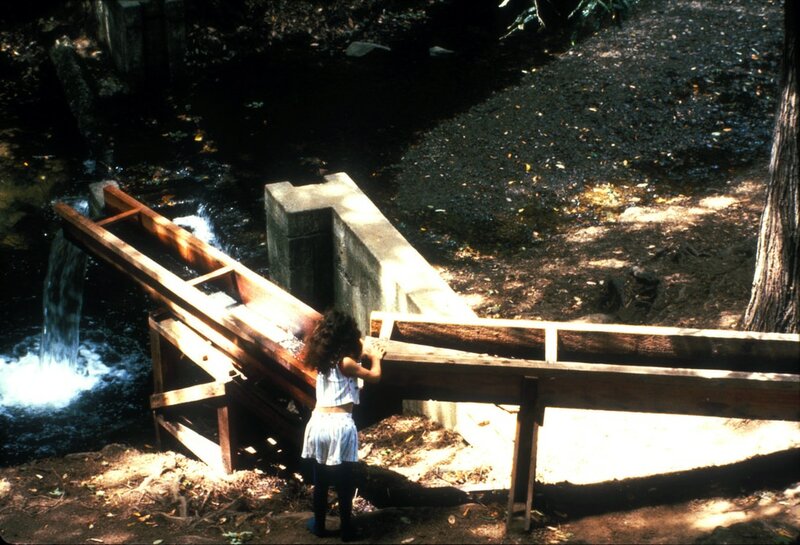 At the same time, it captured a cross section of the creek itself, making it accessible and safe for people and particularly children, to examine and play in its waters. 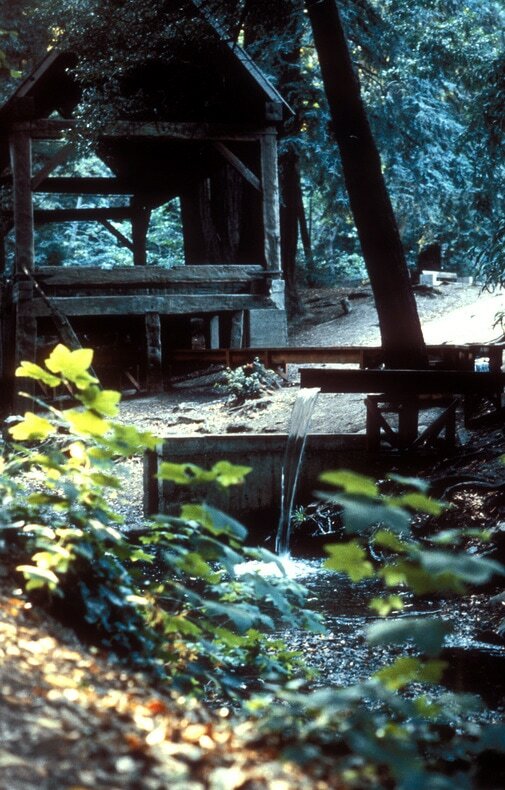 The last section of the flume pivoted at its balance point, rocking back and forth with an audible cadence, as it filled and then dumped the water back to the creek.